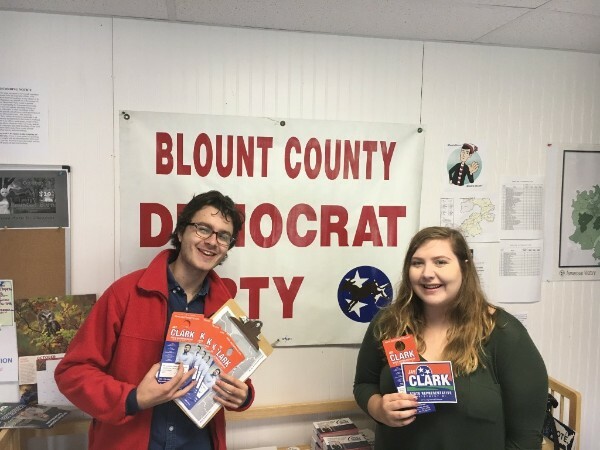 If you need a ride to the polls, contact us - blountcountdemocrats@gmail.com or call 865-268-9426. 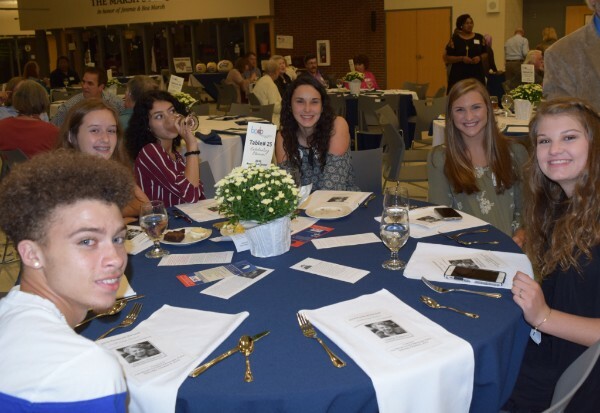 2018 Roosevelt Dinner a Big Success! 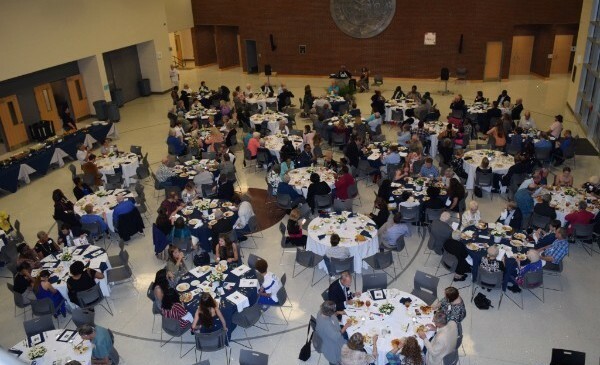 On October 6, over 250 joined in an exciting evening to honor Eleanor Roosevelt at the Annual Roosevelt Dinner. 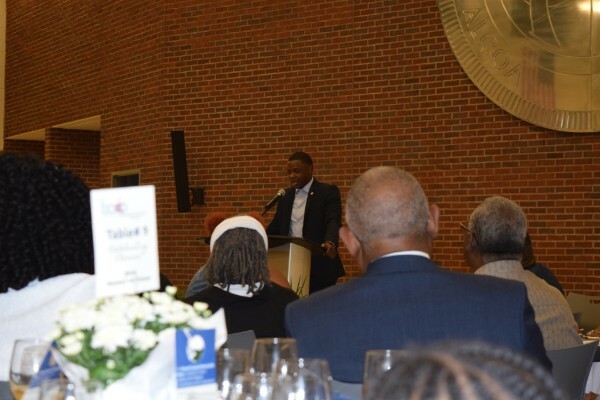 Guests heard motivating presentations by Dorothy Mitchell Kincaid and James Shaw, Jr. (pictured below) as well as keynote speaker John G. Stewart and the candidates running in Blount County: Jay Clark, Susan Sneed, Tanya Martin, Renee Hoyos, and write-in candidate for TN Senate - J. Nathan Higdon. Many thanks to all the volunteers, including the group of young Democrats, who helped make this event special. Plan to join us next year. 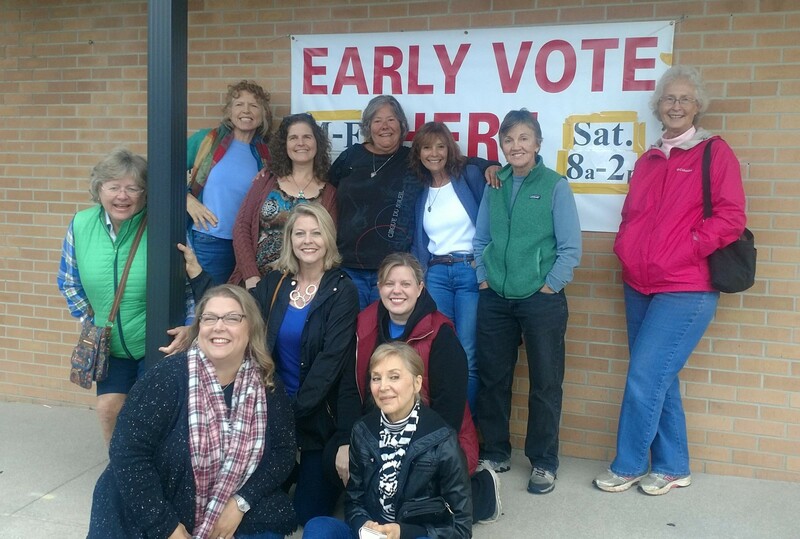 We had a great turnout for the BCDP Day of Action on Saturday, October 13. Let's keep it going. Phone Bank, Canvass - Sign up now with the BCDP and be part of the wave! Friday, October 26, 7am to 6pm, United Way Gas Day - BCDP and Candidates will be at the Kenjo Market, 2003 E Broadway, Maryville. 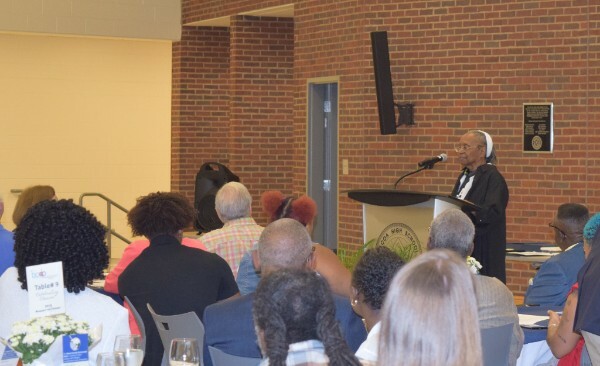 Thursday, Nov 8, 6:30-8:00 PM - The BCDP Executive Committee meets on the second Thursday of every month at the MLK Center in Alcoa. These meeting are open for anyone interested in connecting with Blount County Democrats.